My oldest daughter has an entrepreneurs’ spirit, or as kids can be called “Kidpreneurs”. I haven’t had a clue what to do about it teaching a young entrepreneur, but I am stepping out of my comfort zone and we are going to start working on a plan, a plan for her to start her own little business. My go to as always is books. I am getting books to make sure we do this right and I support her as best as I can. The young entrepreneur that she is already planning a lemonade stand for the summer. The world has changed and a lot of adults are looking to become entrepreneurs and create their own work and lifestyle. Why shouldn’t kids and teens do the same. This list might be a little overwhelming but the majority are available on Kindle which is a big help, not so many books laying around. Pick one and start there. The two books for teens are at the end. Jasmine Launches a Startup – Want to spark curiosity and arouse your little one’s leadership skills? Inspire your future entrepreneur to follow its passion and introduce him or her to the world of entrepreneurship with the story of Jasmine. The first perfect business book to share with your child to ignite interest in starting a business or launching a start-up. Kidpreneurs: Young Entrepreneurs With Big Ideas! – Even children can be introduced to basic business principles and the rewards of entrepreneurship. Our goal with Kidpreneurs is to outline some basic tools and strategies kids can use to gain some valuable experience in starting, managing, and growing a successful business venture. Kid Start-Up: How YOU Can Become an Entrepreneur – You can try one of our ten kid-friendly businesses, including timeless ventures like starting a lemonade stand to more modern-day endeavors like launching an Etsy art store, or create your own. Kid Millionaire: Over 50 Exciting Business Ideas – Learn the skills you need to do what you love and profit from your passions! Follow dozens of kid entrepreneurs and learn from business pros with Kid Millionaire! In this fun and inspiring guide. Better Than a Lemonade Stand! 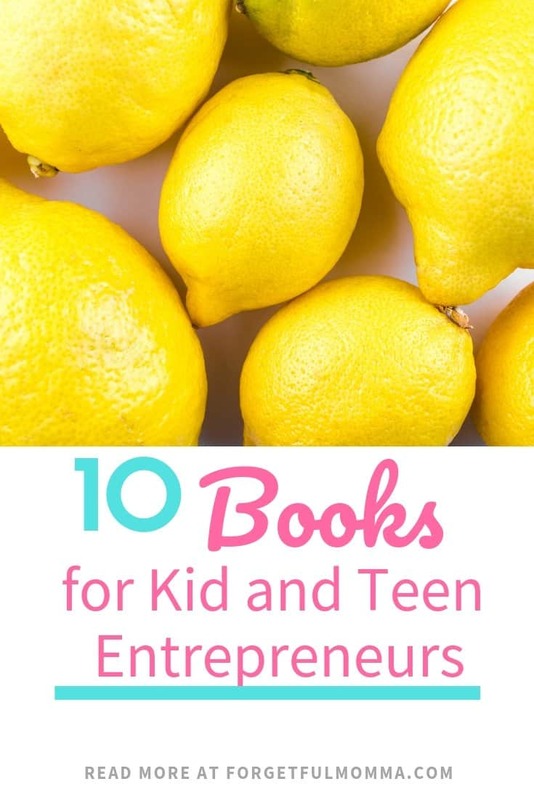 : Small Business Ideas for Kids – Filled with delightfully simple business ideas, Better than a Lemonade Stand! is a fun guide packed with creative ideas that show how to start a business with little or no start-up costs, attract and retain customers, develop negotiating skills, and more. Project Profit: An Income and Expense Ledger for Aspiring Entrepreneurs – Perfect workbook for lemonade stands, bake sales, and any other roadside business! Project Profit: Lemonade Stand Workbook! This ledger is the perfect introduction to profit and loss, income and expenses, and bookkeeping. The Amazing Kid Entrepreneur – A story: As a leader, Zohra teaches by example and inspires individuals to “believe and they shall achieve,” and helps people turn obstacles into energy and focus. Zohra is committed to teaching the formula of success, one person at a time. Entrepreneur School For Kids: Parent Guide For Grooming Your Child To Be A Future Entrepreneur – This book contains proven steps and strategies on how parents who are entrepreneurs can set their children on the path to becoming entrepreneurs themselves someday. Be a Young Entrepreneur: Be Inspired to Be a Business Whiz – Calling all business-minded kids: this book is for you! If you’ve ever dreamed of starting your own business but have absolutely no idea where to begin, we’ve got good news for you. It’s easy to succeed–as long as you’ve got a game plan. Become A Teen Boss: 20+ Ways To Make Money Using Your Electronic Device! – To say that a child doesn’t have what it takes to be successful in this world would be lunacy. Child prodigies and child entrepreneurs from all over the world have proved that you don’t need to be an adult to be respected for your ideas. What a great list! I can’t wait to check out the books. Thank you!